PBM programs typically function in two ways. They are either “carved in”, provided by the health insurance company or “carved out”, provided independent of insurance. Whether the pharmacy benefit plan is self-funded or fully insured, any employer with more than 100 active employees should consider and investigate a carve-out strategy for their pharmacy benefits. A carved out program provides better cost control and transparency, technology and services, as well as information and reporting. Health insurers may bundle the two programs and subsidize some of the pricing from one service with that of another. For companies with a carved in program, there may be concerns about changing to a carved out program due to a perception that additional time and resources will be needed, but I have seen that on a day to day basis, there is little difference in having a separate PBM program. The functions are the same. Over the course of a year, there are separate review meetings for companies with carved out programs, but overall, the time spent should be roughly the same as meetings taking place with carved in providers. From the employees point of view there is virtually no change besides possibly another card in their wallet. They will have continued access to the full range of services offered by a PBM. 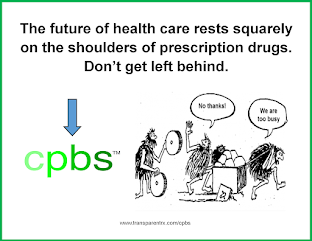 In fact, many carved in programs use third party PBM companies to provide the pharmacy services. Believe it or not, as companies get through the open enrollment season for benefits, the planning cycle starts for the next year – in this case 2016. The first quarter of the year is the time for benefits teams to review contracts and benefits plans, including pharmacy benefit plans. What are the Benefits of a Pharmacy Carve-out? 1. Better Contract Terms – Carved-in plans are based on a single, pre-determined contract that does not allow a plan sponsor or its advisor to negotiate non-pricing terms critical to managing cost trends. For example, carved-in Rx plans seldom have audit rights and, if they do, they are frequently toothless. Detailed clinical programs are also usually missing. Conversely, a carved-out PBM contract, if correctly negotiated by the plan sponsor or an advisor specializing in pharmacy benefit contracting, will clearly outline all of the important non-pricing terms. 2. Carved-out Specialty Rx – A carved-out PBM also permits the plan sponsor to install a carved-out specialty pharmacy benefit. Because specialty pharmacy is the fastest growing and most expensive portion of any pharmacy benefit plan, carving-out specialty drugs provides all of the advantages listed above. 3. Customized Clinical Programs – Better data management and detailed analytics enable clinical licensed pharmacists, whether at the PBM or within a specialized advisory firm, to recommend, implement, and manage customized clinical programs based on the plan sponsors unique population. Examples of this include opioid management, diabetes management, and oncology programs. 4. Lower Pharmacy Costs – A carved-out PBM contract allows for aggressive price negotiations and more competitive Request For Proposals (RFPs). Separating the medical and prescription drug benefits enables a plan sponsor to compare pricing for both benefits on an apples-to-apples basis. A direct PBM contract will also include the critical terms that govern pricing, including discounts, rebates and soft dollar programs. In addition, administrative costs are not hidden within the healthcare benefits fee. Carved-in plans have increased fees and costs that reflect the health plan receiving compensation from their PBM arrangement. 5. Improved Data Management – Stand-alone PBMs with carved-out plans and direct contracts with plan sponsors capture and report all claims elements, allowing for accurate modeling, forecasting, and strategic planning. Data feeds and FTP interfaces between the PBM and the medical claims administrator allow automated delivery of pharmacy benefit claims and integration with medical claims. Plan sponsors and advisors can use the combined analytics to track trends and make informed benefit decisions. 6. More Detailed Analytics – The enhanced data management described above means more detailed reporting capabilities, more sophisticated analytical tools, and more accurate forecasting and modeling. All of these contribute to lower annual drug spend and better long-term planning. 7. Transparency – A carved-in plan has little or no transparency for the cost of the prescription drugs, the size of the mark-up, the rebates earned by the health plan, the contract volume pricing concessions negotiated by the health plan, or other financial incentives, all of which drive up cost to the plan sponsor. The health plan administrator provides none of the details critical to lowering cost, managing risk, and creating better clinical outcomes. Medical and prescription benefits are completely different. The core strength of health plans and medical carriers is managing discounts with hospital chains and building provider networks. These skills are not transferable to managing prescription drug benefits, which are very different and, in many ways, more complex and more dynamic. 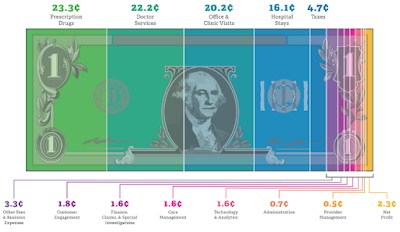 Driven principally by specialty pharmaceuticals, pharmacy benefit costs are forecast to increase between 15 and 18% per year for the foreseeable future. By carving out pharmacy benefits, plan sponsors create the potential to save up to 50% per year on pharmacy benefits service costs.